belated report on WordUp Pompey 20th October 2011 - WordUp Pompey! Well, we had our first meeting = nearly two weeks ago. Been a bit busy so only just getting around to writing about it. 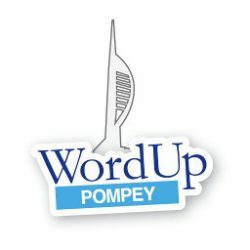 The inaugural meeting of WordUp Pompey was attended by a select set consisting mostly of networkers who attend the City Local organised Business Contacts Club. Each attendee talked about their interest in WordPress, what they hoped to get out of WordUp Pompey and, most importantly how they used WordPress to support their business. We looked at acronyms, tecno-babble, gobbledy-gook etc and decided it would be nice to have a glossary of WordPress related terms… just in case a term used was not known to others and you didn’t want to get too embarrassed. Then we looked at the “top twenty things most important to a WordPress website. It was suggested that the meetings are held on Thursday evenings – monthly to coincide with every other City Local networking meeting. Since many of the attendees came from out of town, a location near to the M27 / A3(M) was considered preferable. Whether or not there is a demand for an agenda targetted more towards the techies is TBD. For the next meeting I proposed a show and tell. Come along prepared to talk about YOUR websites… what you want to get out of it OR how and why you’ve done what you’ve done. Max time per person: 10 mins.